Touch Chesi Chudu—which hit screens on February 2 has collected nearly Rs 22 crores at the box office in two days. Last year, the much-loved Telugu superstar Ravi Teja got his career back on track when his Raja The Great opened to a thunderous response at the box office while receiving rave reviews along the way. In the Anil Ravipudi directorial, he essayed the role of a visually-challenged man and delivered a solid performance. The action-thriller also had the fast-Mehreen in the lead and proved to be the perfect Deepavali gift for the Mass Maharaja’s well-wishers. Now, it seems that his latest release Touch Chesi Chudu too has clicked with movie buffs. According to the latest reports, the film—which hit screens on February 2 has collected nearly Rs 22 crores at the box office in two days. It seems that the mixed critical response did not affect its commercial prospects too much. 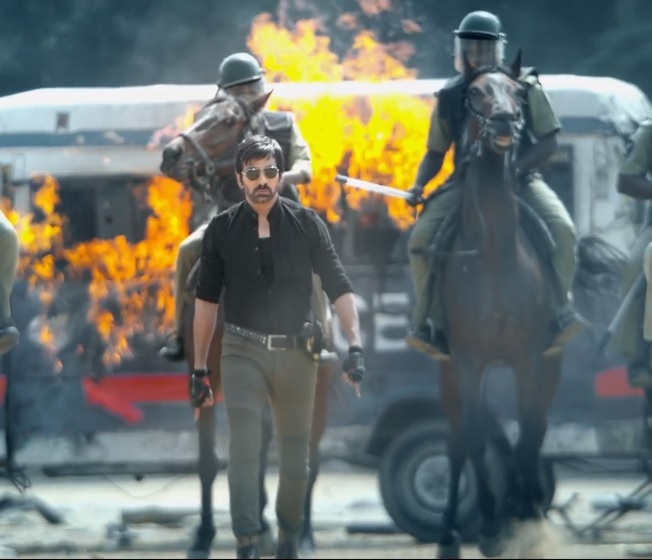 Needless to say, if things stay the same, Touch Chesi Chudu will cross the Rs 50-crore-mark soon. In case you did not know, Touch Chesi Chudu is a commercial entertainer and features Ravi Teja in the role of a cop. A Vikram Sirikonda directorial, it also has Raashi Khanna and Seerat Kapoor in key roles. While talking about her role, Raashi had said that she will be seen in a glamorous avatar in Touch Chesi Chudu. With Touch Chesi Chudu in theatres, Ravi Teja will soon be turning his attention to his film with filmmaker Srinu Vaitla. So, did you like Touch Chesi Chudu? Comments, please!